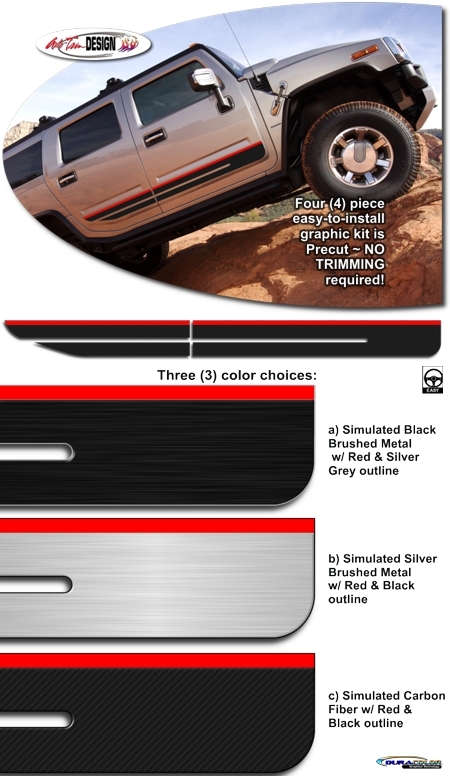 Set your Hummer H2 or H2 SUT apart from the rest of the pack with this simple yet rugged-looking four (4) piece Body Side graphic kit. Kit is PRECUT and ready to install in one of three (3) color combinations - NO TRIMMING required! Designed to be set along the H2's distinct lower door body lines, kit is packaged with one (1) Driver Side and one (1) Passenger side graphic set.